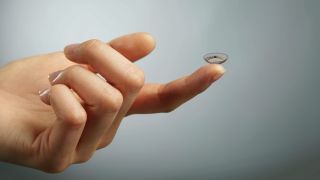 Last year we learned that Google was embarking on a project to make smart contact lenses for measuring glucose levels. That project led to the formation of a whole health-focused unit, the Life Sciences team, which has just graduated into its own standalone Alphabet company. The contact lens project was one of Google's "moonshot" projects, leaving little certainty that it would ever move from concept to reality. Then healthcare company Novartis stepped in to licence the technology so it could one day be commercialised, and the ball really got rolling. Now, as announced by Alphabet President and Google co-founder Sergey Brin, that project will be graduating from the Google X lab along with the Life Sciences team, with Andy Conrad as CEO. The smart contact lenses track your glucose levels and send that information to a device wirelessly, making the task of monitoring sugar levels far easier. The Life Sciences team have been responsible for other projects too, including a cardiac monitor and the Baseline Study. "They'll continue to work with other life sciences companies to move new technologies from early stages R&D to clinical testing - and, hopefully - transform the way we detect, prevent, and manage diseases," said Brin. "This is the type of company we hope will thrive as part of Alphabet and I can't wait to see what they do next"
What the hell is Alphabet?